Forget boring breakfasts! 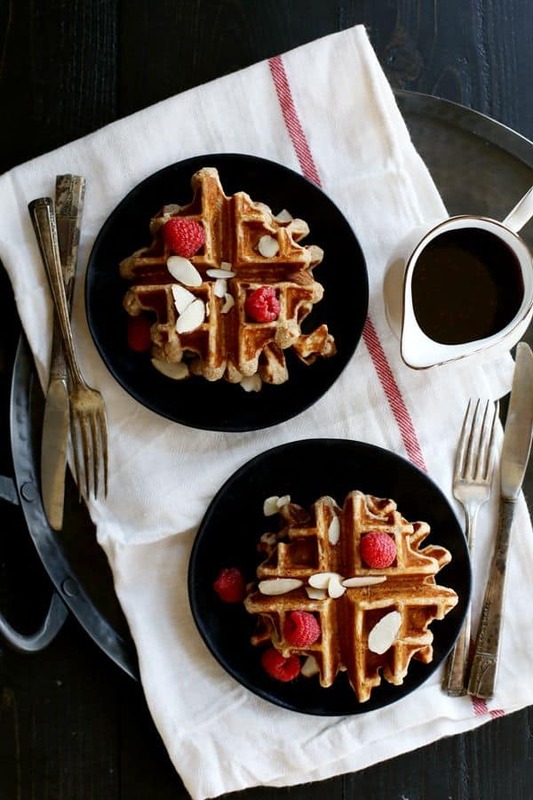 These Raspberry Almond Belgian Waffles are the only way to begin your day. Soft and fluffy on the inside, crispy on the outside and swirled with raspberry amaretto preserves. In other words, perfection. When it comes to food, sometimes I can be a bit indecisive. 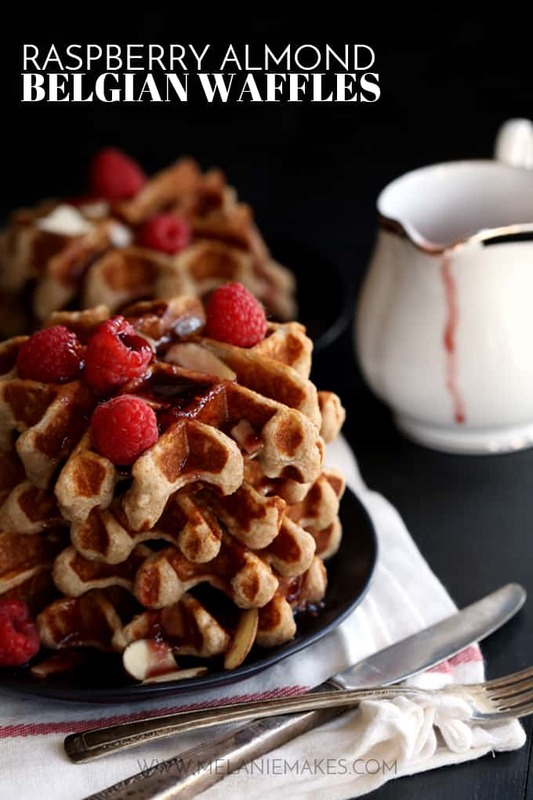 These Raspberry Almond Belgian Waffles? The perfect example. When my husband asks where I’d like to eat on a rare night out, it drives him crazy when I name a list of places as I always have a multitude of options that sound good at any given time. These waffles came about as I had two ideas on what to make one day – the other was this Raspberry Almond Cheesecake Cake – and instead of selecting just one, I made both. You’re welcome. I mean, can you imagine what you’d do if a tray of theseRaspberry Almond Belgian Waffles was set before you? It would be like the breakfast and brunch angels got together and decided to reward you for a lifetime of good deeds in a single meal. A waffle that’s soft and fluffy on the inside, yet crispy on the outside. In other words, perfection. 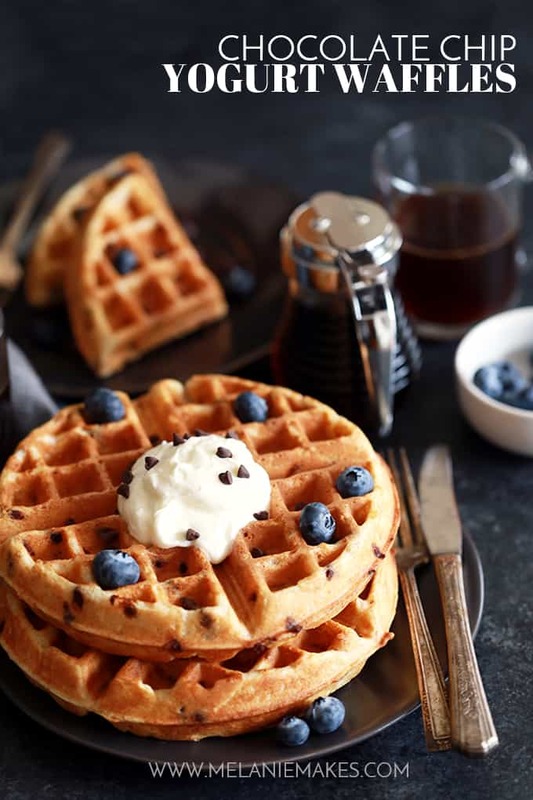 These waffles are a spin-off of my infamous Yogurt Waffles which also inspired my Chocolate Chip Yogurt Waffles. Yes, I take waffles very seriously! 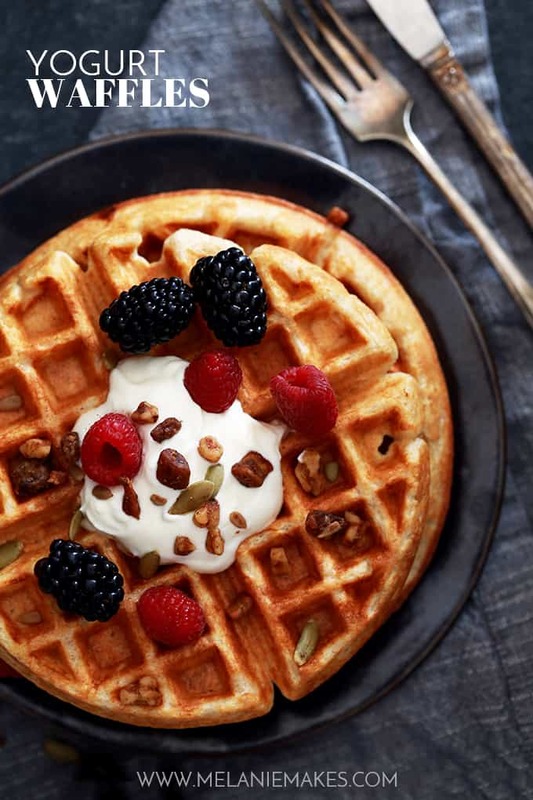 The raspberry almond flavor that makes these waffles so special? Talk about the most delicious shortcut ever! 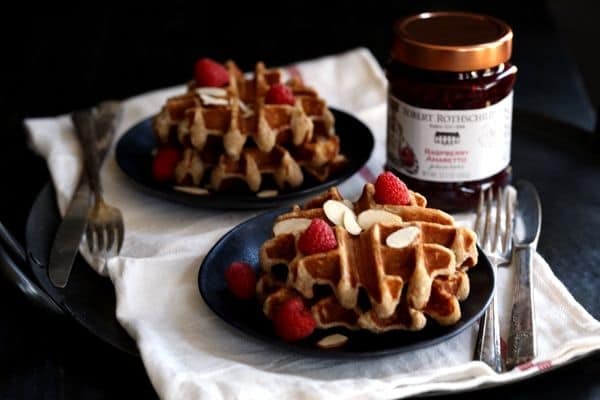 A jar of Raspberry Amaretto Preserves from Robert Rothschild Farm is the secret to taking these waffles from ordinary to extraordinary. A delicate blend of sun-ripened raspberries combined with the delightful sweet almond taste of amaretto. I love that there are only seven ingredients included in these preserves and I can pronounce every single one of them, just like all of their other products. And seriously, their new packaging is seriously stunning. I’m in love with that copper colored lid! SIDE NOTE: Looking for a great waffle maker? I absolutely love this waffle maker as it makes TWO waffles at once! Gone are the days of taking forever to make everyone waffles as they eagerly await breakfast. I also love that you’re able to set your desired doneness and it then beeps when ready. No more constantly opening and closing the waffle iron to check on things. In a large bowl, whisk together flours, sugar, baking powder and salt to combine. In a saucepan over low heat, melt butter and whisk in Robert Rothschild Farm Raspberry Amaretto Preserves until smooth. Make well in center and add butter and preserves mixture, milk, yogurt and eggs. Stir together until just combined. Heat waffle iron and spray with non-stick spray. Ladle amount of batter as recommended by waffle maker manufacturer onto waffle iron and close. Cook until golden brown. In a small saucepan over medium heat, whisk together preserves and syrup until combined. 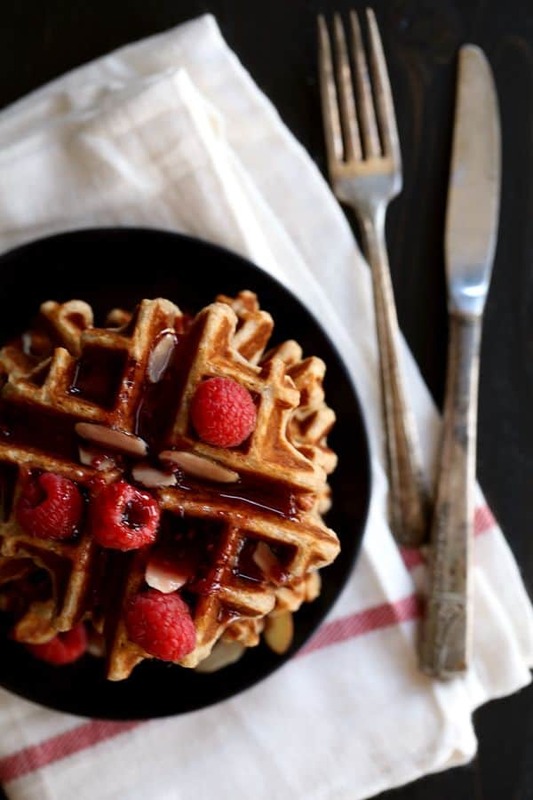 Top waffles with syrup, fresh raspberries and almonds prior to serving. To make waffles smaller in diameter like those pictured, use an ice cream scoop to add batter to center of waffle iron and cook as usual. Can I make a final suggestion? Double this recipe. No, triple it. 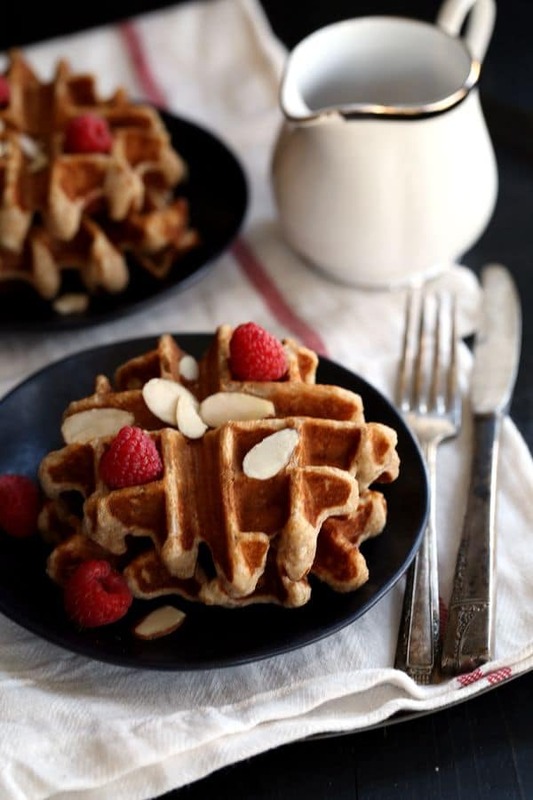 Any leftovers of these Raspberry Almond Belgian Waffles can be frozen for a quick and easy treat any day of the week. Believe me, your family will thank you. And you’ll thank me. It’s like a never ending train of thankfulness. Looking for more great waffle recipes? I was compensated by Robert Rothschild Farm to create a recipe featuring their product. As always, all thoughts and opinions are my own. 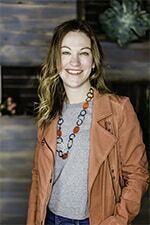 Thank you for supporting this sponsor that allows me the opportunity to create content, such as this, for Melanie Makes. To make waffles even lighter and fluffier separate the eggs and beat them til stiff, then gently fold them into to batter. DO NOT over mix, leave some of the puffy white clouds. Thank you so much, Serene - they definitely disappeared fast at our house! Man, I wish I could come over for breakfast! These waffles look amazing! You're welcome any time, Laura! 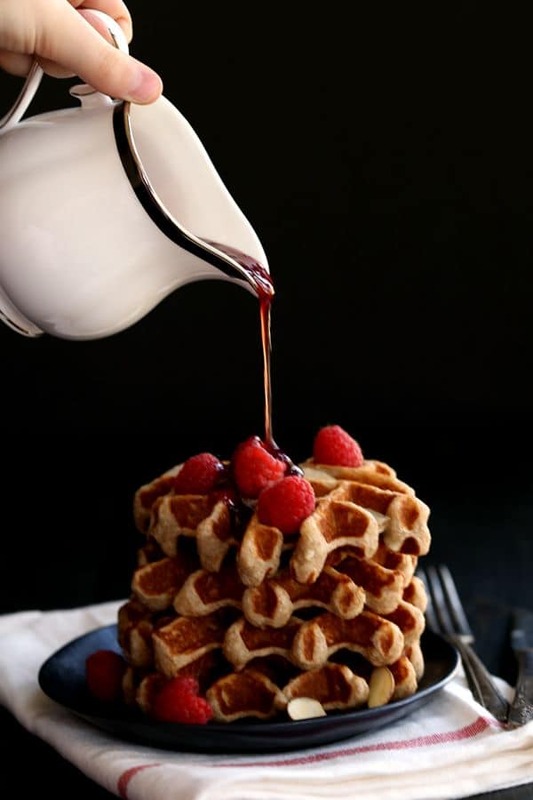 those waffles are oh, so elegant! Hand me a plate of those, pretty please. 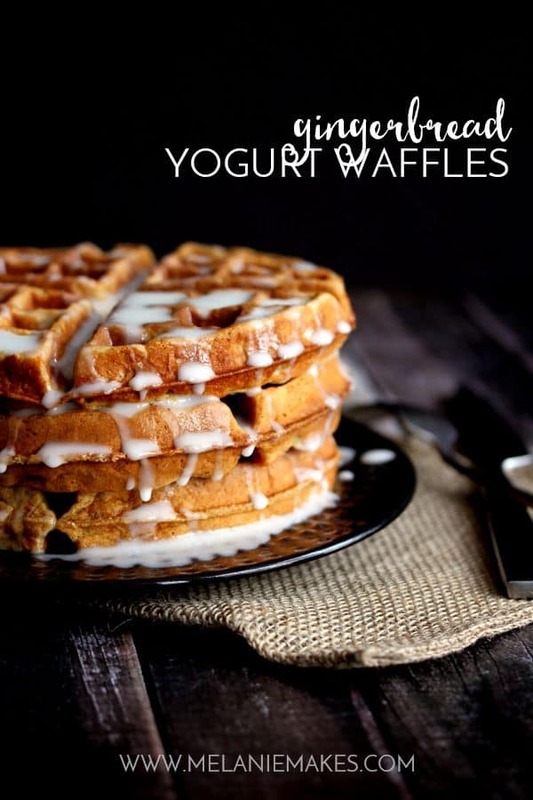 Hand me a plate of these waffles and I will be good to go! Such a gorgeous breakfast idea, Melanie! Thanks so much, Ashlyn! They were a total hit with everyone here, including my little ones. Thanks, Shelley! And I'm with you, Belgian waffles are the answer to all of life's burning questions! I am drooling. Seriously, these are beautiful and everything I could want in a breakfast! You're so kind, Kacey - thank you!